There was a time, not so very long ago, when adverts seemed to be full to bursting with music by, first, Moby (Play), then Goldfrapp (Felt Mountain) and then Röyksopp (Melody A.M.). Such exposure does little to help these or any other albums, at best distracting from, at worst suffocating, their genuine achievements. 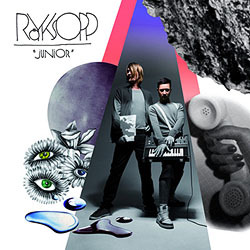 It’s good, therefore, to hear Röyksopp’s new album, Junior (released on 23 March), before it’s made its way into the wider world; i’m hopeful that the band will resist the advertising community this time, as it’s a release well worth hearing on its own terms. It opens with “Happy Up Here”, expectedly downtempo but no less a floorfiller for that, the beats shuffling, the synths both gritty and childlike. 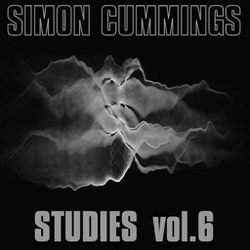 This serves as something of an overture, raising the curtain to the first proper song, “The Girl and the Robot”, which plunges us into a retro world of vocoder chords and neo-New Romantic basslines. With its palpable electro-angst (“I go mental every time you leave for work … I never know when you’ll return … Oh, when you gonna come home?”), it’s almost like a 21st Century “Don’t You Want Me Baby?”; this is one of Röyksopp’s best tracks to date, harmonically rich, melodically highly expressive (with stirring vocals by Robyn) and structurally perfect. “Vision One” reduces the tempo once more, and brings back the dirty bass synths, overlaid by soft, lilting melodies; it’s a sweet enough song, but not one of the more engaging tracks on the album. Oscillating back, “This Must Be It” returns once again to the world of 80s synthpop, Karin Dreijer Andersson‘s vocals sounding a little like Propaganda’s Claudia Brücken. It has a strong chorus, anthemic and driving, suggesting this as possible single material (if such things haven’t ceased to exist by the time i’ve written this). Confidently-titled, “Röyksopp Forever” is the album’s gentle epicentre, beginning softly, beats few and far between, before settling into a slow tempo, the light electronics gradually overtaken by more strident string figurations. It takes a while to get interesting, but eventually the track opens out into different harmonic territory, lightly poignant. “Miss It So Much” is rather flat and formulaic, and thereby rather forgettable (a shame as it features Lykke Li on vocals), although its electronics do have a rather nice cheap and cheerful quality. It ends with an incongruous ominous cluster of sounds, before launching into a first-rate track, “Tricky Tricky”. Proving that songs have no need for choruses to be successful, “Tricky Tricky” unfolds verse after verse after verse, all the while expanding the textures surrounding them, with assorted countermelodies, harmonies and synth droplets making an appearance, along with a false ending; brilliantly simple but effective. 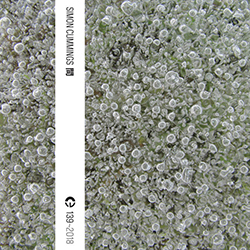 What follows though, is more than equal in quality, a shining example of synth-ballad: “You Don’t Have A Clue”. Anneli Drecker‘s vocals are simply sublime here, sounding at once innocent and mature, the melodies spiralling around in highly inventive fashion; without doubt the highlight of the disc. “Silver Cruiser” brings a temporary instrumental lull to the proceedings, revealing that whenever lyrics are absent, Röyksopp struggle to make the music sing; often it sounds like mere accompaniment. Anneli Drecker returns for “True To Life”, a song that’s as hecticly active as its bassline isn’t, fixed above a drone-like pedal point that only shifts in the last minute or so. “It’s What I Want” draws the album to a close, the boys taking over vocal duties themselves in a rather low-key track that revolves around the title refrain. Overall, despite being something of a mixed bag, it’s a great showcase for some excellent singing talent, featuring songs that are both imaginative and distinctive. And quite apart from that, it’s an unavoidably, infectiously cheerful album, and warmly recommended. Advertisers: hands off.